All signs point to an active Hurricane season in the Gulf and Atlantic. The predictions still call for 18 named storms in 2010. If you've been in the water this summer you know that the water temperature is warmer then usual. This alone is a good indicator of the potential for an active storm season. "Colorado State University’s Tropical Meteorology Project is sticking with its June forecast for 18 named storms this year. Conditions across the Atlantic have not changed very much since the first forecast. In fact, they are even more conducive for hurricanes because water temperatures in the tropical Pacific cooled off faster that expected. Already the season is off to an above average start. The average brings 9.6 named storms according to the Tropical Meteorology Project’s calculation using the years from 1950 to 2000. The National Hurricane Center considers 11 named storms average, with one of those forming before the first of August. 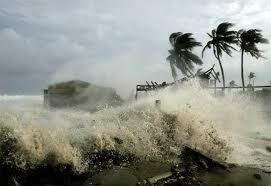 This year, we had a hurricane and a tropical storm before August." To read the full story visit the Herald.